WASHINGTON (CN) – The sexual-misconduct whispers surrounding Supreme Court nominee Brett Kavanaugh involve an encounter the judge is said to have had as a teen in high school, according to Friday reporting from The New Yorker. The news follows a statement Thursday from Senator Dianne Feinstein, D-Calif., that she forwarded information she received about Kavanaugh to federal authorities. The White House on Thursday called the allegations, the specifics of which Feinstein did not disclose, an “11th hour” attempt to sink Kavanaugh’s nomination. According to the New Yorker, Kavanaugh’s accuser says Kavanaugh “held her down, and that he attempted to force himself on her” at a party. 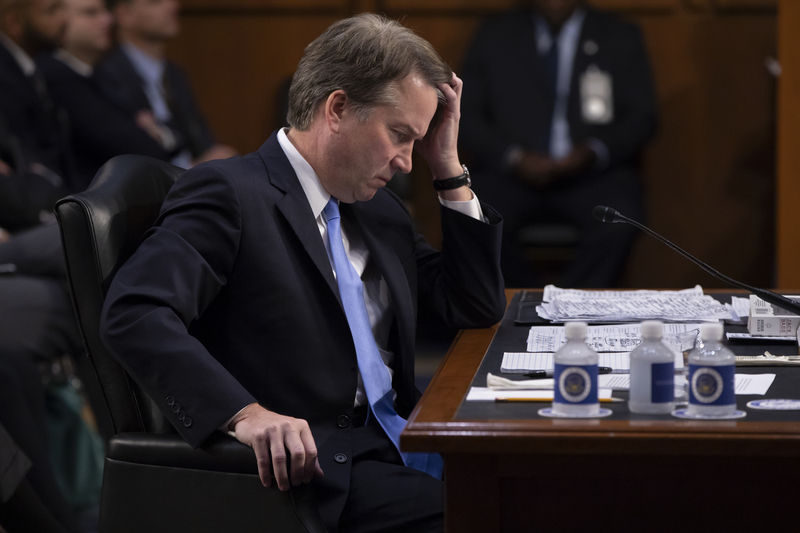 The accuser went to school not far from Georgetown Preparatory School, where Kavanaugh, 53, attended high school, and has reportedly “sought psychological treatment” over the attack. Feinstein has not confirmed that the woman described in the New Yorker’s story is the same one who confided in her about Kavanaugh. A spokesman for the senator said Feinstein handled the information the way she did to ensure the accuser’s anonymity. Senator Chuck Grassley, the Iowa Republican who chairs the Senate Judiciary Committee, has scheduled a committee vote on Kavanaugh for Sept. 20. Grassley’s communications adviser, Garrett Ventry, said in a Twitter post Friday afternoon that the committee will still vote on Kavanaugh’s nomination next Thursday. Shortly after the New Yorker story was published, the Judiciary Committee sent out a letter from 65 women who knew Kavanaugh in high school attesting to his character during his time at Georgetown Prep. “This letter is incredibly unfair to Judge Kavanaugh and only shows how low and desperate Democrats have become,” Carroll said in the statement. Republicans on the Judiciary Committee downplayed the allegations, saying they should not delay the vote next week on Kavanaugh’s nomination.